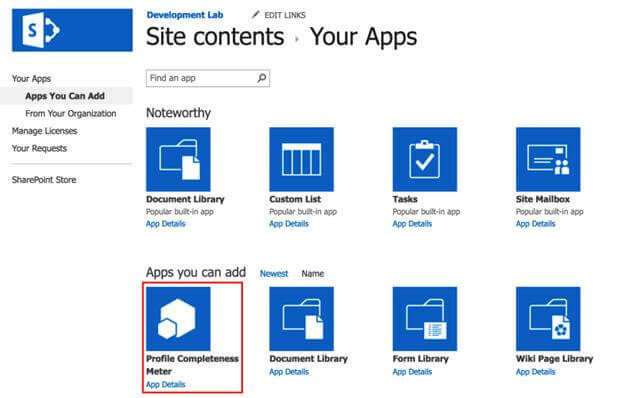 In this article, I am going to show you how to set up Continuous Integration and Delivery for SharePoint Framework Web Part. Continuous Integration and Delivery are the foundations of modern software development. Continuous Integration and Delivery process is going to help your team in the following areas. 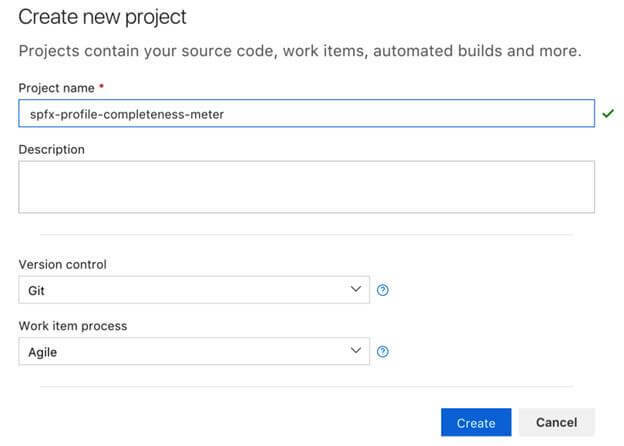 The first step is to create an SPFx Git Repository Project in VSTS. 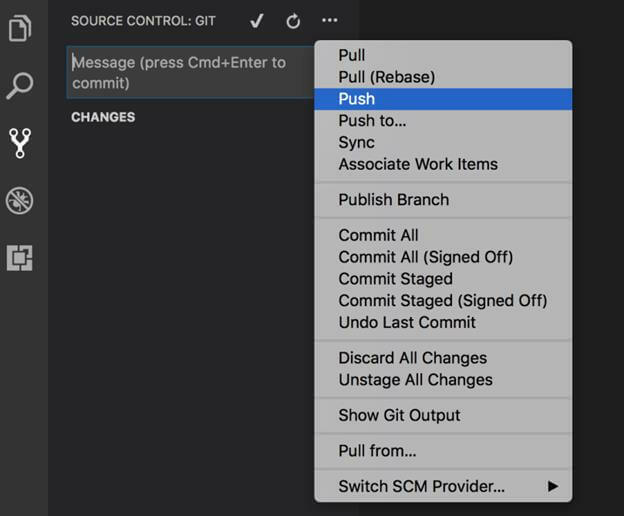 Let us clone the newly created Git project into our favorite local folder using the following git command. Go to the project directory using command prompt/ terminal and set up your SPFx Web Part project as explained here. I am going to use my sample code here but feel free to write your own logic in your SPFx Web Part. This is my project folder structure. Let us package artifacts and upload the files in the app catalog site and CDN library. 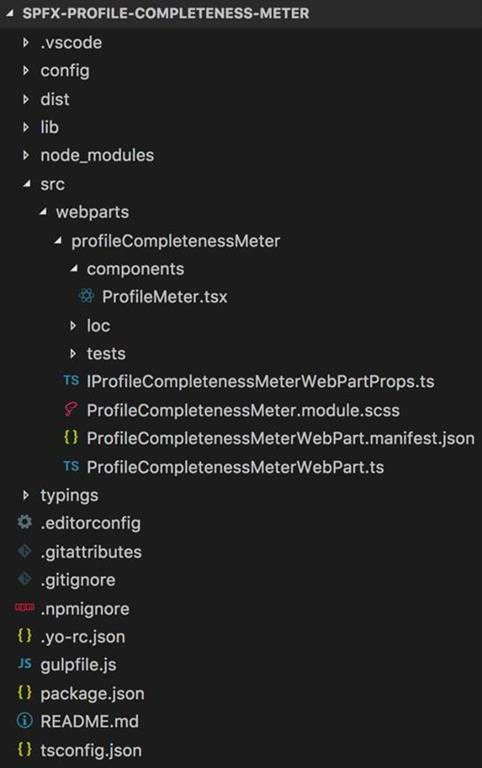 Open the write-manifests.json file under the config folder and update the cdnBasePath parameter with your CDN SharePoint Document Library path. This will build the minified assets required to upload to the CDN library in temp\deploy directory. 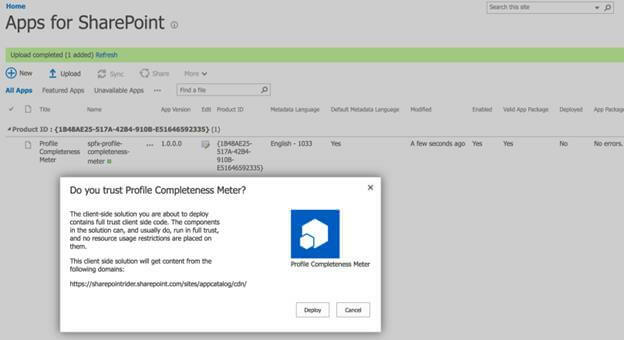 Go to your CDN SharePoint Library and upload the generated files. The command will create the .sppkg package file in the sharepoint/solution. Go to your App Catalog site and upload the generated .sppkg file to the app catalog. This will deploy the client-side solution package. 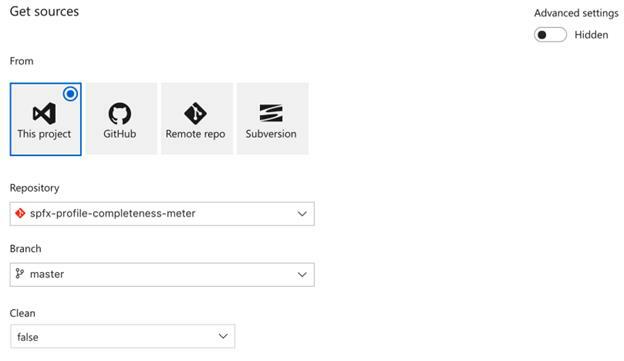 SharePoint will display a dialog and ask you to trust the client-side solution to deploy. Click "Deploy". At this point, the web part is ready to be used on a page. Open a site where you want to test the web part and go the Site contents page of the site. Choose Add – App from the toolbar and choose your app to be installed on the site. After the app has been installed, add the web part in a page. Check-in the code and push the same to the master branch via Visual Studio Code editor. 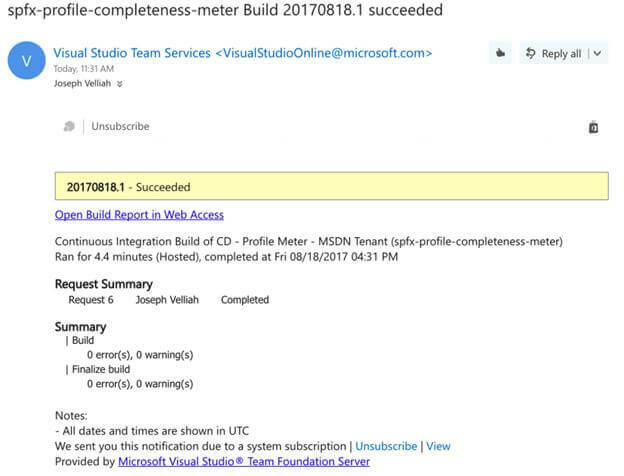 At this point, we are ready to integrate our SPFx web part project repository with VSTS continuous build and release process. 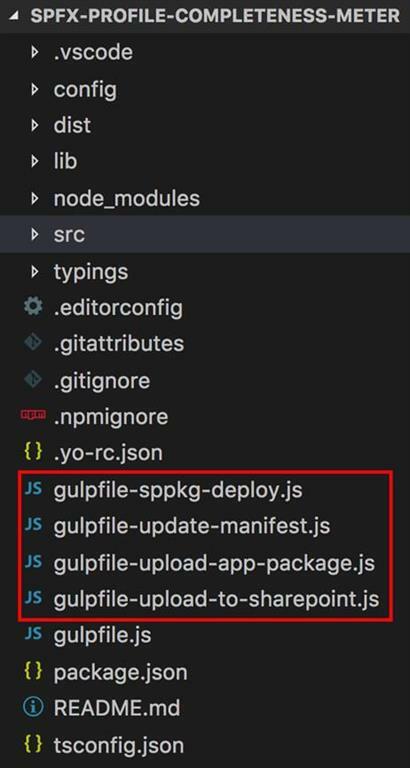 Upload the highlighted custom gulp tasks provided by Elio Struyf and install the necessary npm packages as per the instruction is given. 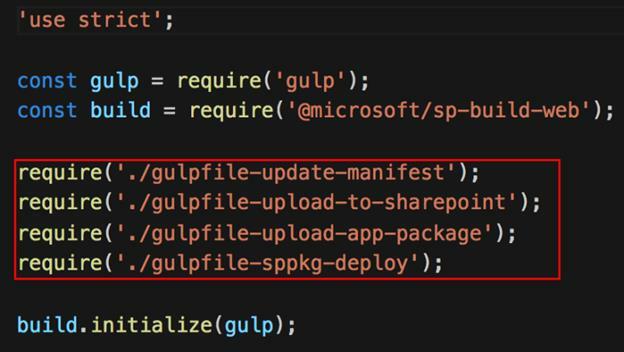 Update the gulpfile.js as shown below. Go to the "Build & Release" section and click the "New" button. Select the empty template and click "Apply". 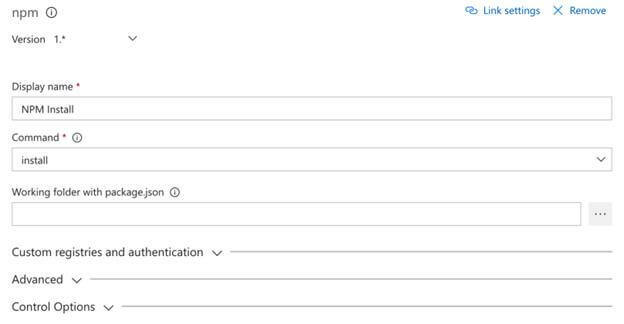 Configure the following variables for the Build and Release. Adjust the values as per your environment. Add the following tasks and configure it, as shown below. 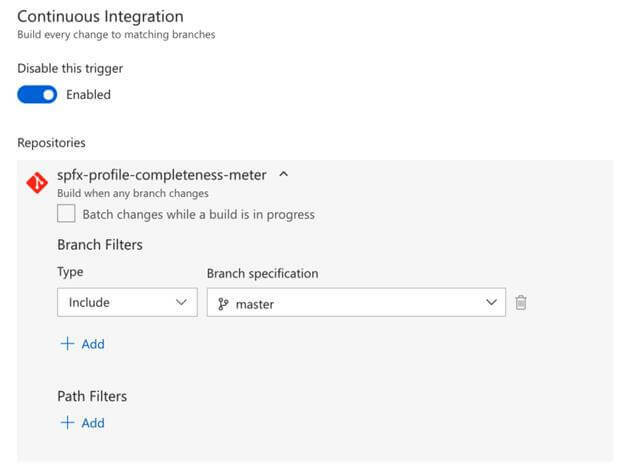 Also, enable the continuous integration settings so that the build process starts when the latest code is checked-in in the master branch. All done. Now, it is time to test our continuous build and release process by pushing a new code change to git repository and check if the build process gets triggered. 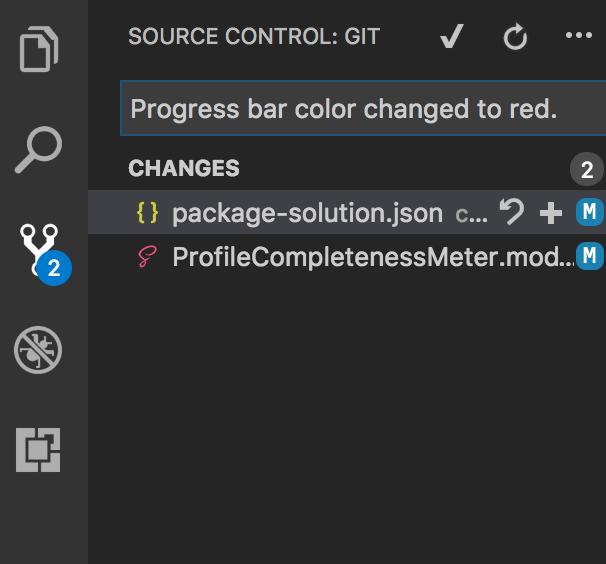 Let us change the progress bar color to red and check-in the latest change to git. 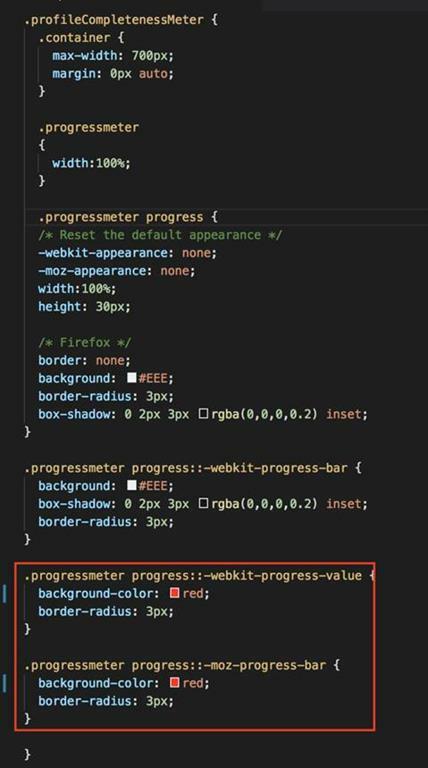 As you can see in the screenshot, the latest code got updated and the progress bar color is reflecting. 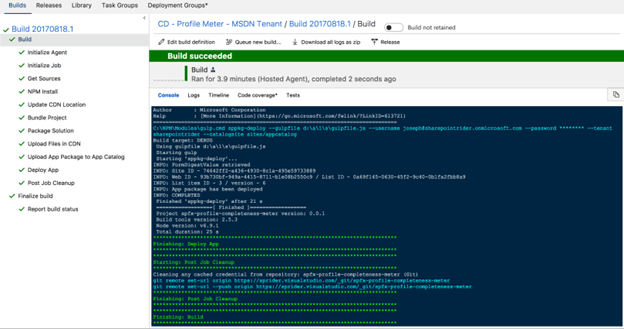 You can isolate the deployment process from the build process using a release template.